Discussion in 'iPhone and iPad Games' started by robertsze, May 28, 2015. • Directly record your gameplay and share your best rides or crashes with your friends on Facebook, Youtube or Twitter • Tilt or button control, whichever you prefer • MFI Game Controllers support In-Apps: The in-apps may optionally be used as shortcut to get Trucks and Tracks without having to progress through the game. 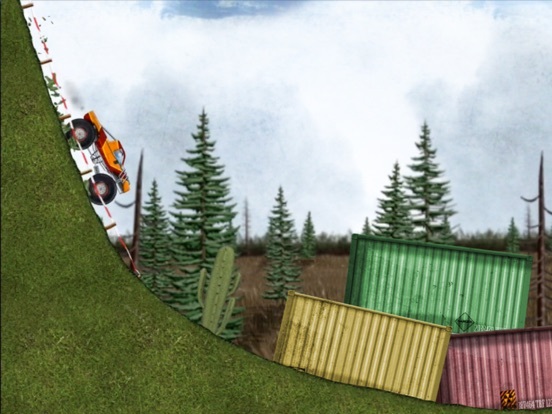 Take a look at the Stickman Downhill - Monster Truck Trailer : https://www.youtube.com/watch?v=YhPHyxwrDBI Feel free to post your ideas, we will try to implement them as soon as possible. Thank you very much for all your support and interest in our games! We would love to hear your suggestions! 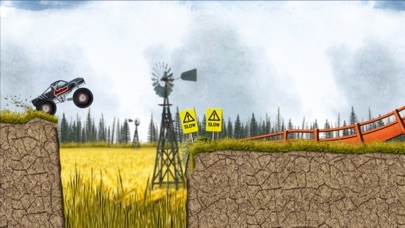 The in-apps may optionally be used as shortcut to get trucks and tracks immediately, without having to progress through the game and earn them. Looks really good. 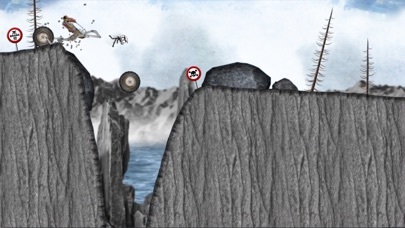 I usually download all the stickman games anyway, but I really like the looks of this one. There's monster trucks in it!! lol Downloading now. Umm. It's not bad. 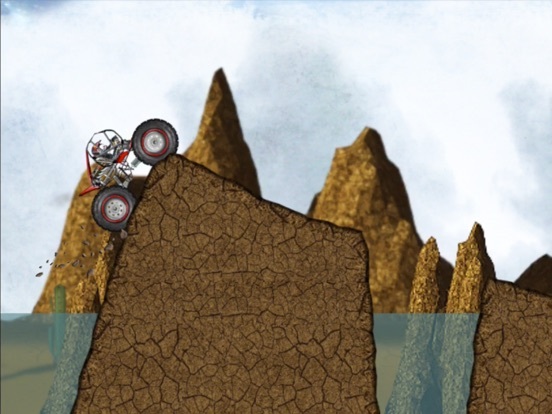 It plays almost identical to the Stickman Downhill Motocross game. Like all their games, I don't like the overpriced IAPs for vehicles. At least you can open them up by playing. 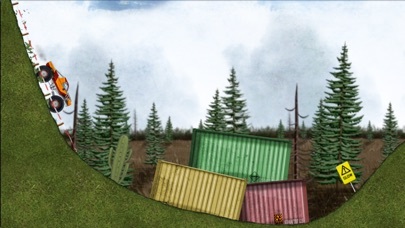 The artwork is done well like in all the stickman games. The engine noise sounds pretty good too. 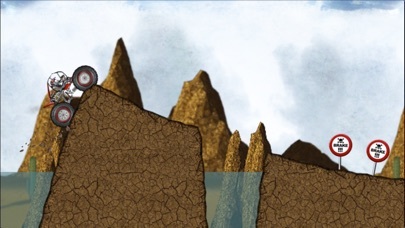 I haven't gotten that far yet, but the level design is pretty close to Downhill Motocross so far. My biggest gripe is just the touch controls. I'm glad there's an option over tilt, but when using the touch controls, it's very sensitive. 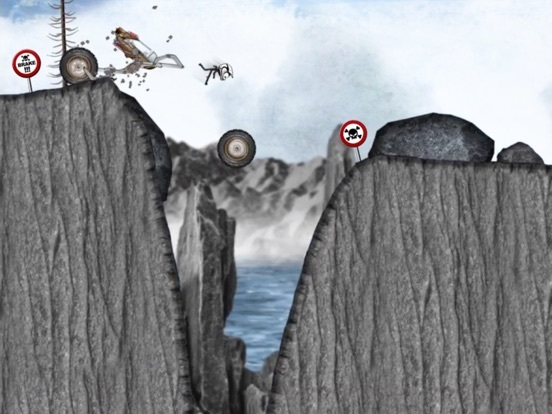 All in all, it's a decent addition to the Stickman games. I'm happy with my purchase. 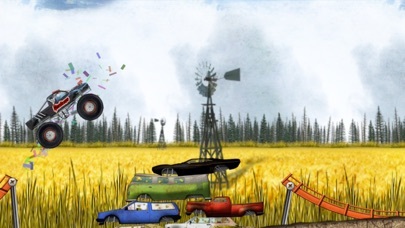 It has tons of levels and a good amount of vehicles. It's pretty much more of the same, but that's not always a bad thing. I've always liked these games. Thanks NEON, appreciated..,,might grab this later. "I'm glad there's an option over tilt, but when using the touch controls, it's very sensitive." Do you mean the trucks are rotating too fast with the touch controls? I am having fun playing this. So far i have only unlocked Dirty Dora (i only get to only in short bursts). The artwork is very nice and the sound fx are great. It's kind of refreshing that the stages/courses load so fast, and i never came across any lagging or a game crash. The beginner stages were easy enough to get comfortable with the controls (i kind of like the tilt controls). If i am already have getting frustrated with some of the average stage courses, i hate to image how tough the extreme courses are. 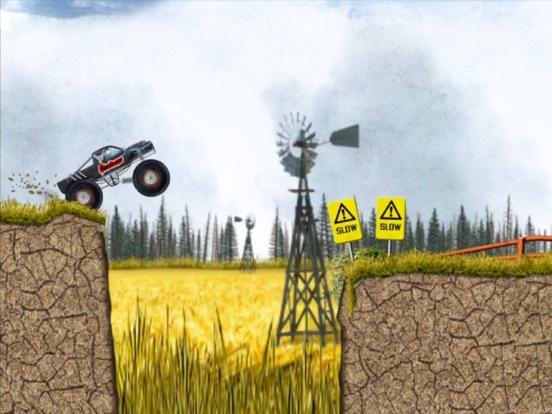 I like that you can't get to crazy with jumps because the truck will break if you land to hard. 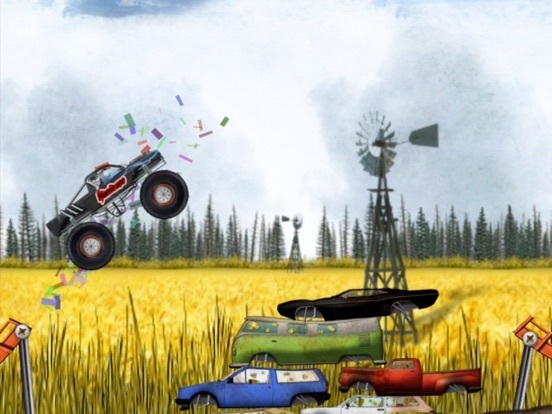 Like i mentioned before, the only other game i played was Motocross, well, Monster Truck definitely did not disappoint. I really like this one. This is a fun and addictive time killing game worth keeping, thanks for the promo code heikPhone. Exactly. One quick touch and your truck moves 90 degrees.